Late blight is starting to show up on tomatoes and potato plantings in Southwest Florida, reports UF/IFAS Vegetable Extension Agent Gene McAvoy. 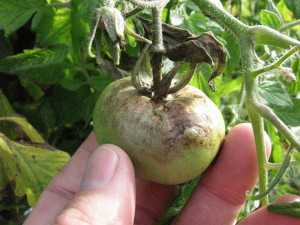 According to multiple reports from the field, positive identifications of late blight — a deadly vegetable disease — are being found around Southwest Florida, and is now present on both tomato and potato crops in the area. Recent weather events have produced a recipe for optimal disease development. A forecast that includes potential for more foggy mornings, abundant dew, and possibility of showers could exacerbate the problem further. Gene McAvoy, UF/IFAS Vegetable Extension agent based in LaBelle, FL, is advising growers to scout susceptible crops carefully and evaluate their fungicide programs. The following is his rundown of the disease in detail. 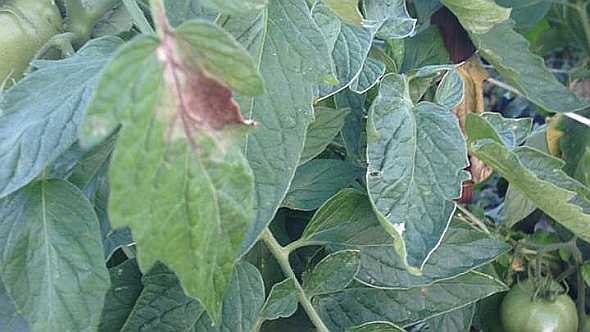 Late blight is caused by the fungus-like oomycete Phytophthora infestans, which is a pathogen of potato and tomato. This disease can spread quickly and devastate a tomato or potato field within a few weeks if not properly controlled. Late blight shown in a tomato. Photo courtesy of UF/IFAS. Late blight symptoms on leaves appear as irregularly shaped brown to purplish lesions with indefinite border lesions that can span veins. The lesions may be seen any time of day, on any stage of plant growth, and on leaves of any age. Velvety, white fungal growth may appear on the lower surface of affected leaflets early in the morning before leaves dry and/or in the lower canopy. On stems, purplish lesions may be found anywhere on the stem. Cottony white growth of fungus on stems with lesions can often be seen early in the morning and/or in the lower canopy. The disease thrives under cool and wet conditions. Temperatures between 50°F and 80°F combined with moist conditions such as rain, fog, heavy dews, or relative humidity above 90% are conducive for disease development. Night temperatures in the mid-50s, with daytime temperatures from the mid-50s to mid-70s, are ideal for this disease. Inoculum can originate from diseased seed tubers, cull piles, and volunteers, as well as infected plantings of potatoes or tomatoes. For tomatoes, infected transplants can serve as a source of inoculum. 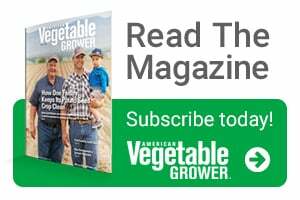 Since the disease can spread so rapidly, growers should scout their fields thoroughly each day, especially when cool and wet conditions conducive to disease development prevails. Currently, fungicides are the most effective means of controlling late blight and will remain the primary tool until cultivars with resistance to this disease become available. Fungicides slow the rate at which the disease develops in the field by creating a protective barrier on the foliage. Just applying a chemical, however, does not necessarily equate with effective disease control. Relative effectiveness of a product, coverage, and timing must be factored into the equation for maximum benefit. Numerous fungicide products are registered for late blight control. Protectants, as the name implies, protect foliage from infection by spores. Protectant chemicals must be well distributed over the leaf surface and must be applied before spores land on leaves. They are ineffective against established infections. Protective applications of chlorothalonil are your first line of defense for managing late blight. Timing is critical — applications must be made when conditions are conducive for disease development and before infection occurs. Systemic products become distributed locally within plant tissues and protect foliage from infection by spores. They may kill some established infections and may suppress production of new spores. Even a short break in spray schedules, despite what is said regarding some of the newer fungicides, can result in a dramatic increase in blight under the proper conditions. Consult current UF/IFAS recommendations for all labeled fungicides for the control of late blight in Florida.